Geri Horner – aka Ginger Spice – and her husband Christian Horner have welcomed a baby boy, the first child for Christian and second for Geri. The new arrival, dubbed Montague George Hector Horner, is a little brother for 10-year-old Bluebell. 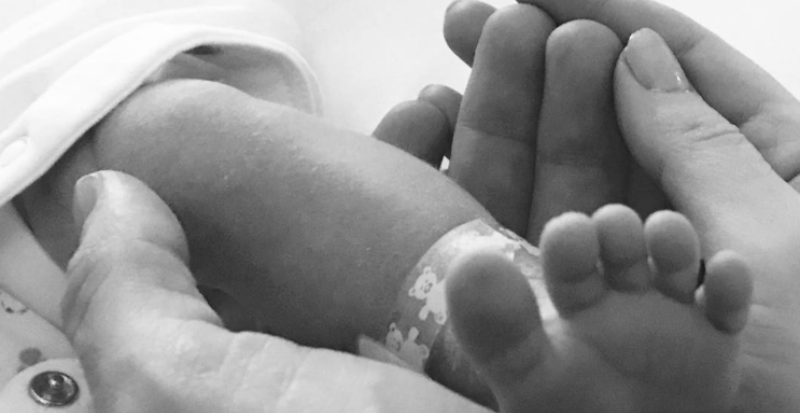 “Christian and I are delighted to announce our baby boy was born this morning weighing 7 lbs 8oz,” 44-year-old Geri posted alongside a black and white shot of baby Montague’s teensy feet. One of Monty’s middle names is a tribute to the late George Michael. Geri and George were very close and George’s former partner, Kenny Goss, is godfather to daughter Bluebell. Geri has been in the limelight for over 20 years, forging a super successful entertainment-focused career. She spent several years recording and performing with the Spice Girls, moving on to solo releases and a successful TV career, more recently. After ‘reforming’ in 2016 to celebrate the 20th anniversary of their debut album, The Spice Girls are apparently poised to release a new single. While these reunion moves had the blessing of Mel C and Victoria Beckham, they’d chosen not to reprise their roles, leaving the original line-up two spices down. Late last year, Geri dropped out of the new-look Spice Girls too, ahead of the birth of baby number two. “Geri’s priorities have changed. Her baby is due later this year and rather than force a reunion, she’s needs to concentrate on more personal matters,” Geri’s rep said. It looks like it’s all down to Scary and Baby now! There don’t seem to be any hard feelings, though. Her girl-gang pals responded excitedly to the news, notably Baby Spice Emma Bunton who shares a birthday with the new arrival. Geri and Red Bull Racing Team Principal Christian met in 2014 and were married in May 2015. They announced this pregnancy in October last year, welcoming Montague on January 21, 2017. How lovely. We wish them every happiness. Congratulations Geri, Christian and Bluebell on Monty’s arrival!